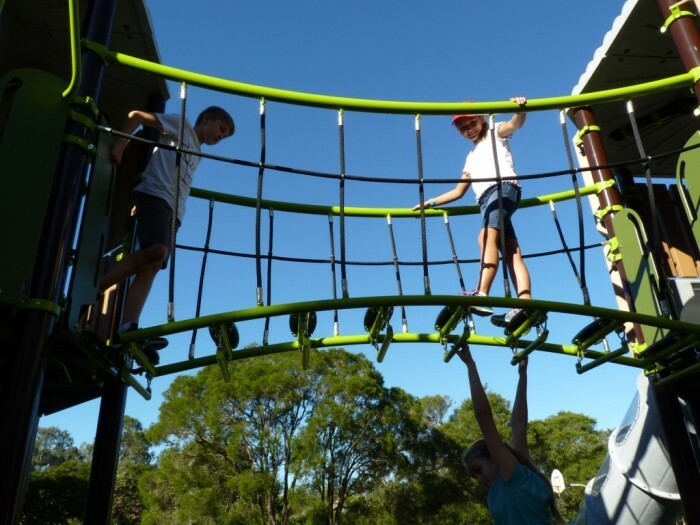 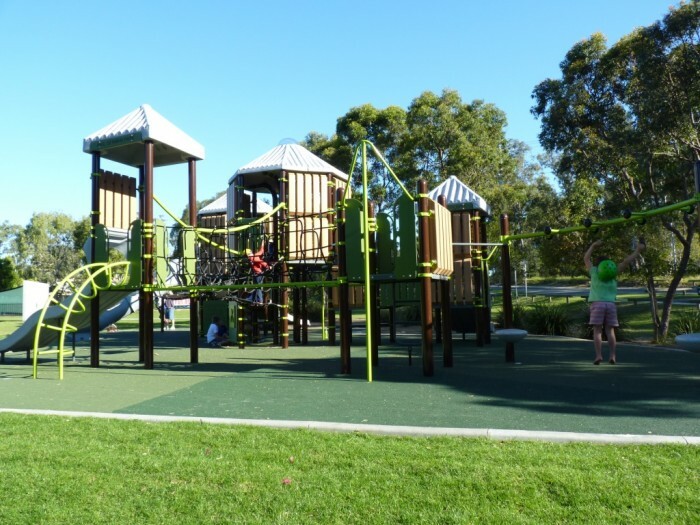 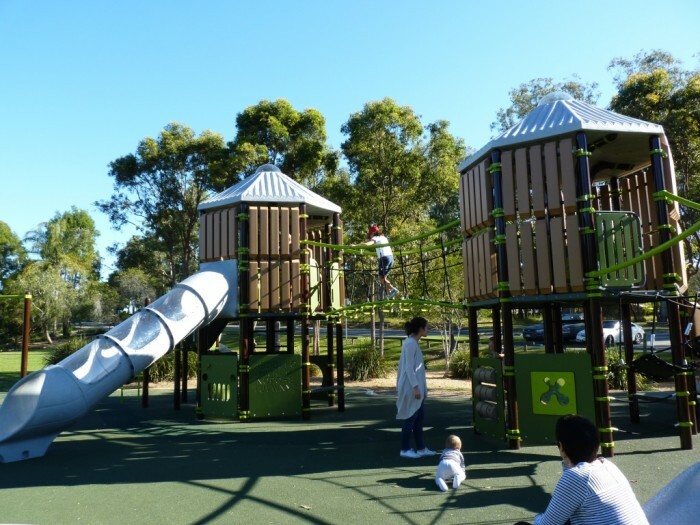 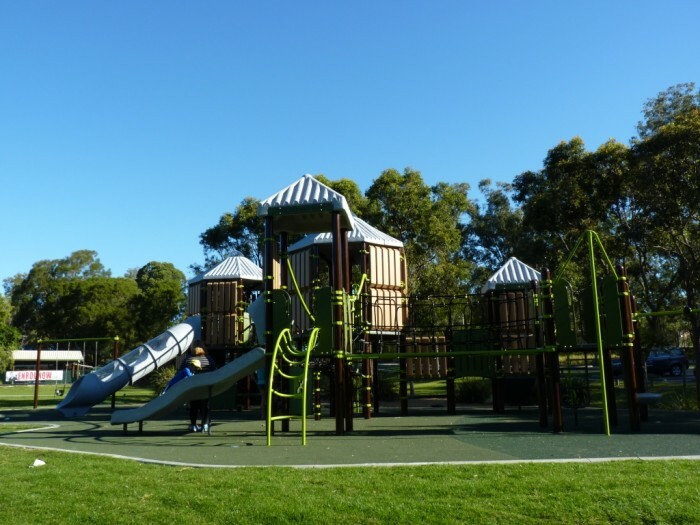 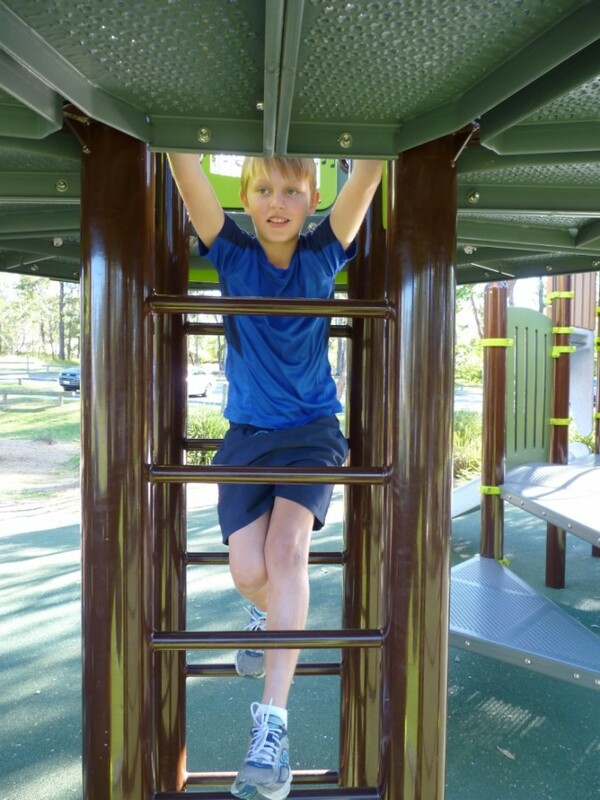 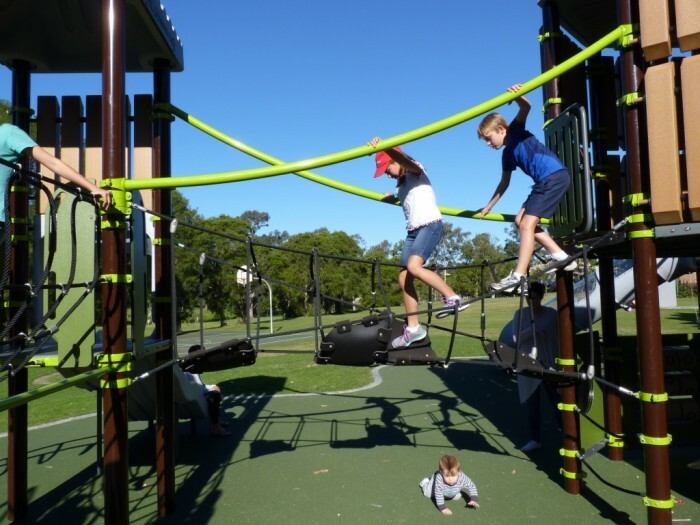 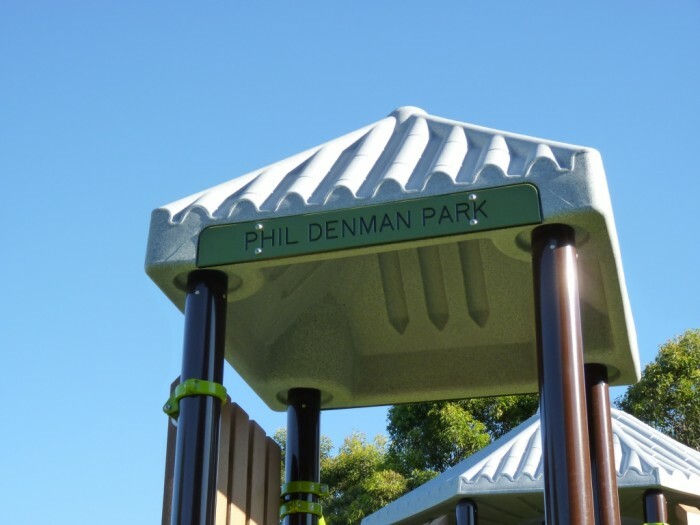 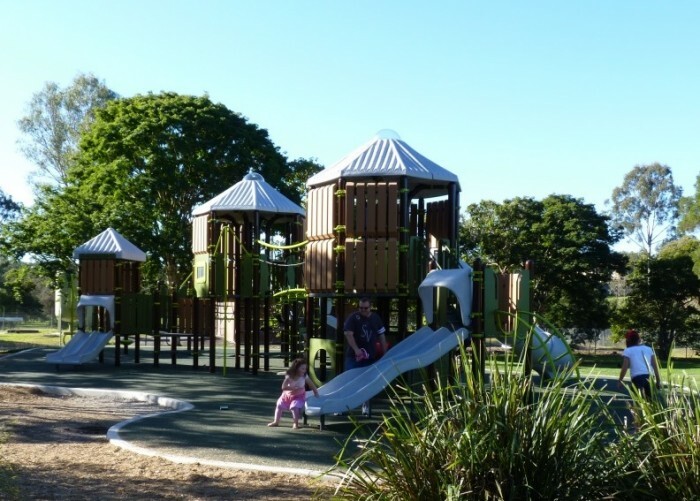 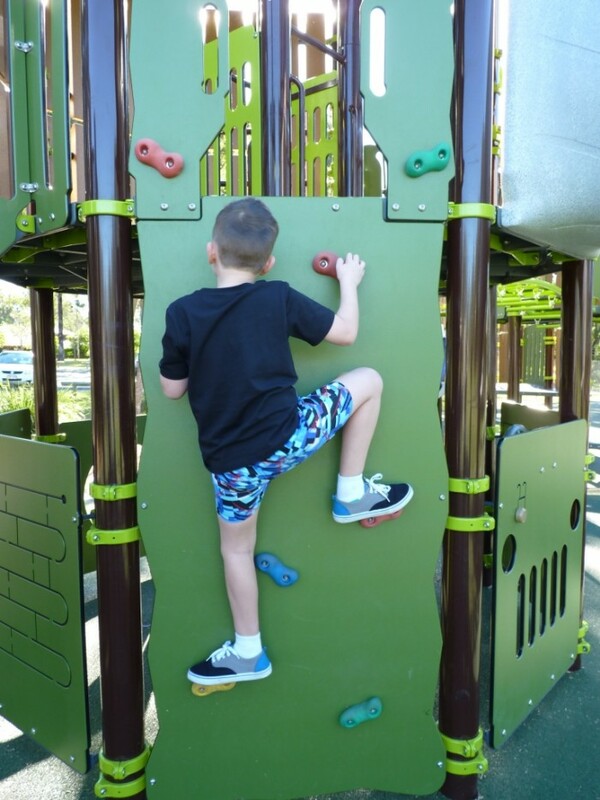 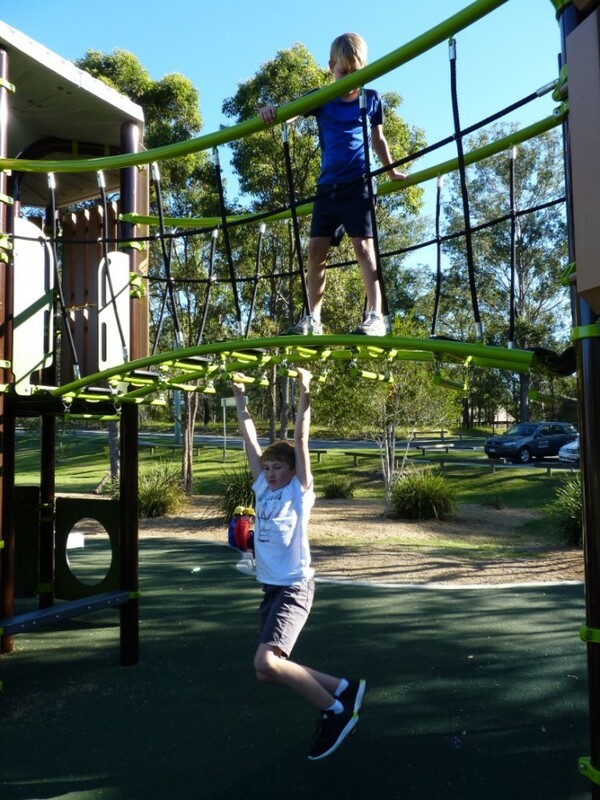 Formerly known as Beanland Park – Phil Denman Park in Jamboree Heights has recently received a massive boost with the construction of an impressive 3 towered playground that the community just loves! 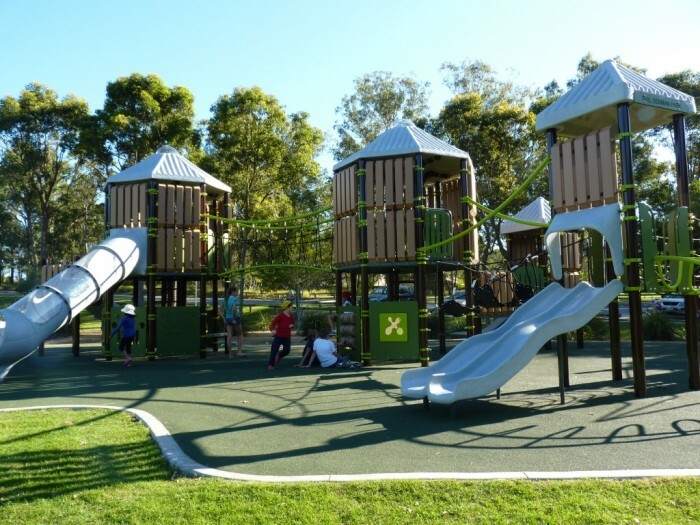 Situated at the end of the road down from 2 schools and an early learning centre, this recreational space has been well utilised in the past by dog walkers, those playing on the half court basketball and hitting against the tennis wall. 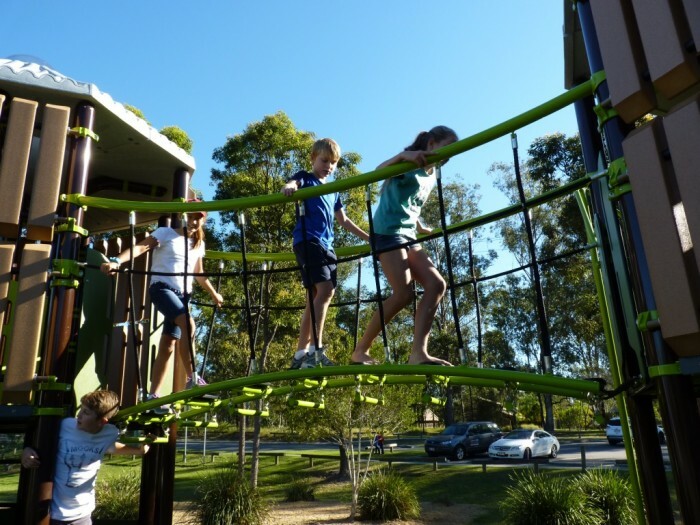 Now, the students race down after school and parents struggle to get their kids away of an afternoon. 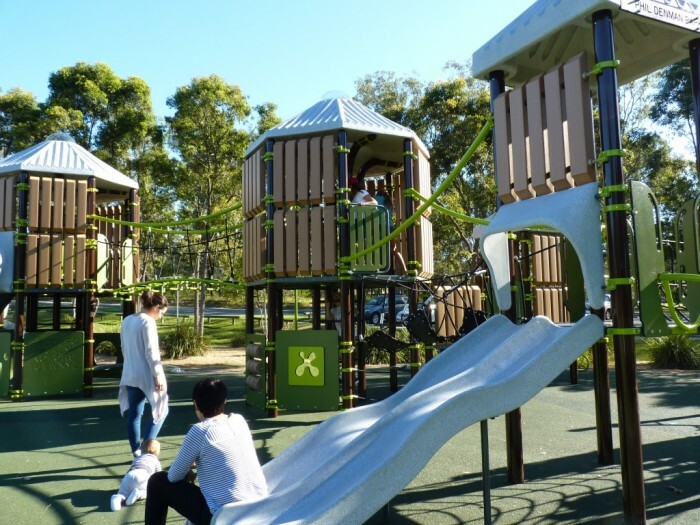 The weekends see the playground teeming with children of all ages and with the expansive and zoned nature of the playground, there is truly something for everyone. 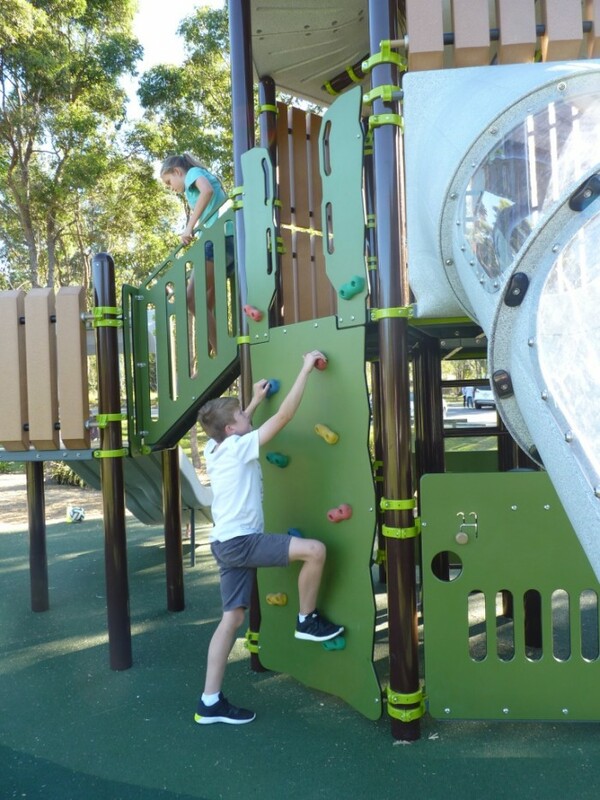 The structure, designed from Landscape Structure’s Play Odyssey Towers, utilises nature inspired panelling and colour tones to allow the playground to stand out, yet complement its natural surrounds. 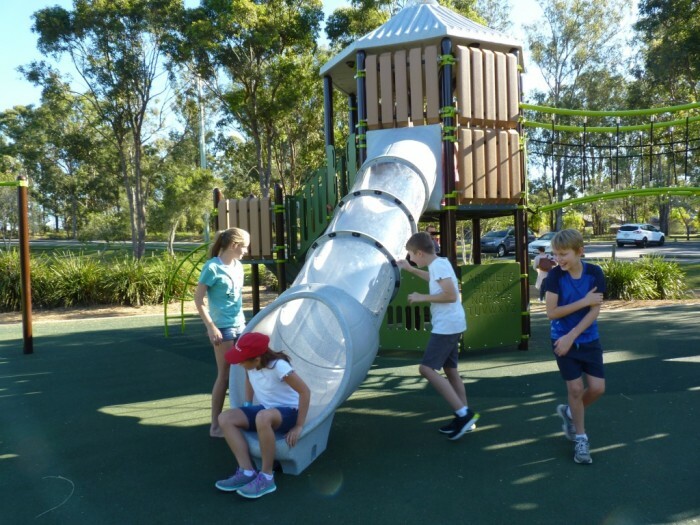 The windowed Tunnel Slide gives the thrill seekers a faster ride, while the double wave poly slide provides interactive racing fun, and another double slide at the junior end offers an age appropriate sliding experience for the younger users. 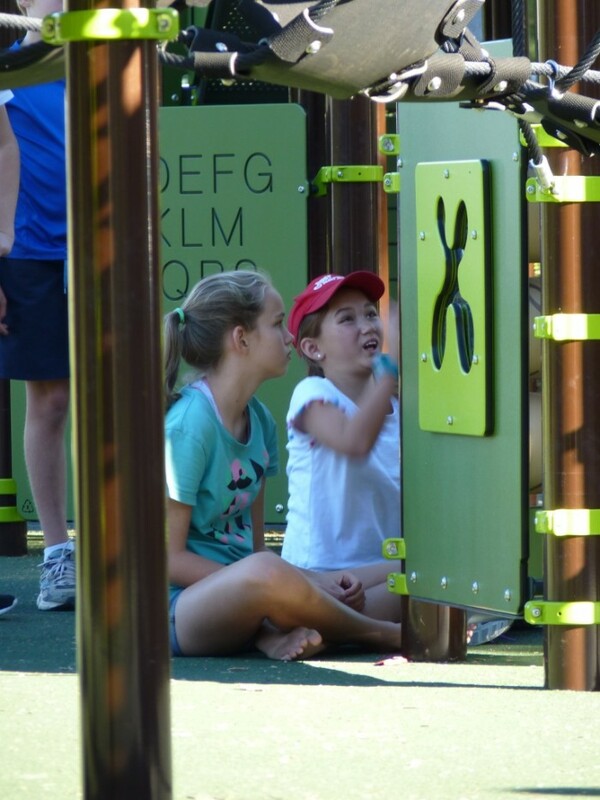 Interactive Panels give sensory stimulation to all ages, with the Chimes, Driver, Finger Maze, Hole, Math, Tic Tac Toe, Tracing and Mirror Panels offering a wide diversity of activity. 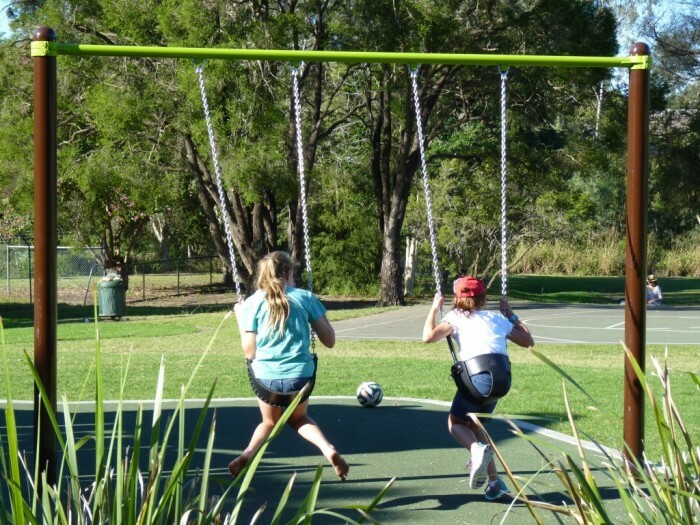 Set to the side is a double swing – because quite simply, no playground would be complete without one! 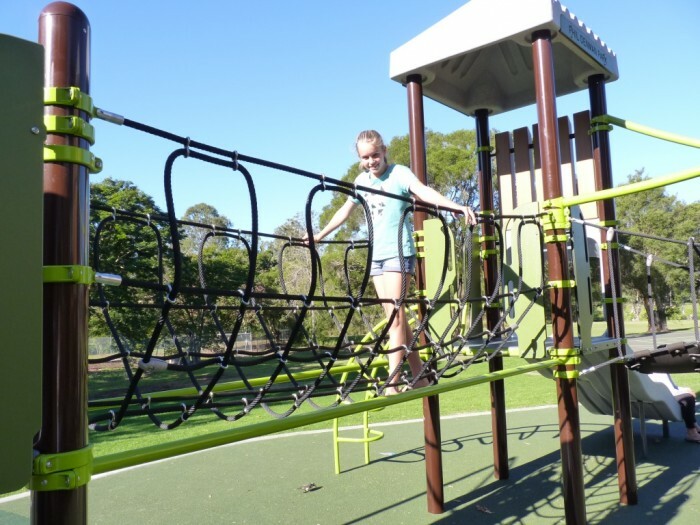 The entire playground is set in rubber softfall to encourage accessibility and inclusive use by children of all abilities. 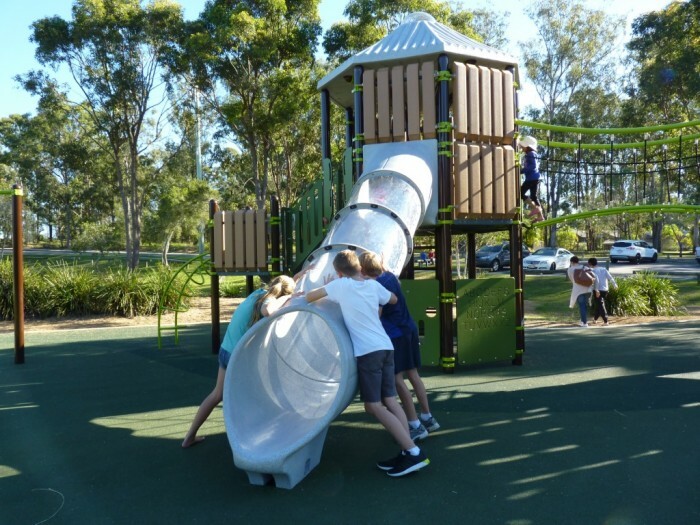 We’re confident that this fantastic playground will be well utilised by countless members of the community as they progress through the nearby schools and is a great asset to the area.